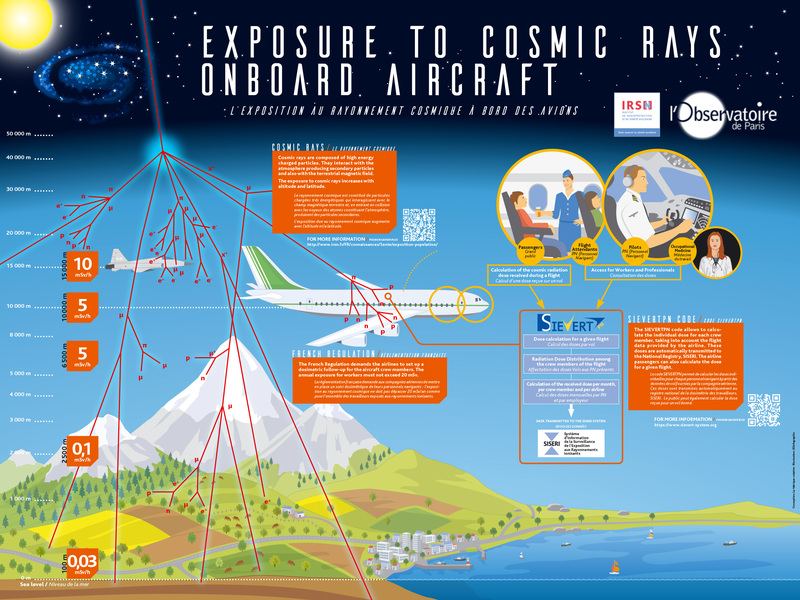 France will help to ensure the surveillance of cosmic radiation for a section of space meteorology for the benefit of world-wide civil aviation. This surveillance will be done using tools developed at the Paris Observatory, by the Laboratory for Space Studies and Instrumentation in Astrophysics. The Organization for Civil Aviation (OACI) is under the aegis of the United Nations. Its function is to participate in the development of rules for the standardization of air transport for international flights. In 2017, it launched a call for offers to establish an operational space meteorological service. The objective is to ensure the surveillance of the terrestrail space environment and to transmit moderate or critical warnings, depending on the observed or foreseen consequences. A consortium in which France is associated with Australia, Canada and Japan (the ACFJ consortium) was chosen by the OACI to be one of the three world-wide centers furnishing these services. The French partners are Météo France and the companies CLS and ESSP in Toulouse. In this consortium, France is in particular responsible for the "radiation" section. In practice, the surveillance will be the responsibility of the society CLS in Toulouse using tools developed for over twenty years by the Laboratoire d’études spatiales et d’instrumentation en astrophysique (LESIA - Laboratory for space studies and instrumentation in astrophysics), by the CERCLe group (noted as a "national observational service» by the INSU), in collaboration with the Institut de Radioprotection et de Sûreté Nucléaire (IRSN). The CERCLe group will help the CLS society, via its technical and scientific expertize. With this in view, it has already adapted its software for real time operations. The measurements are carried out using neutron monitors, ground based high energy particle detectors, installed all over the Earth. France is responsible for two monitors at the Institut Polaire Paul Emile Victor (IPEV) on the Kerguelen islands and on the Terre Adélie (Antarctic). The CERCLe section of the LESIA is collaborating with the Institut de radioprotection et de sureté nucléaire (l’IRSN - Institute for radiation protection and nuclear safety), with the Direction générale de l’aviation civile (DGAC) in the surveillance of radiation doses incurred by civil aviation personnel in France. 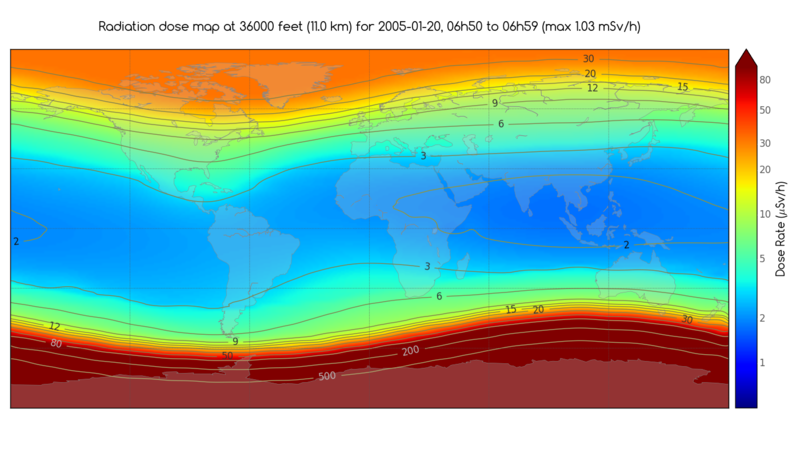 The purpose is to estimate and to foresee the cosmic radiation does from our galaxy and to assess a posteriori the occasional contribution from high energy particles accelerated by the Sun.